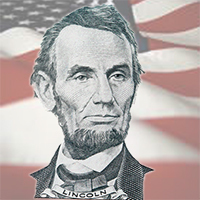 This week’s Paper of the Week on AcaDemon is paper #150950, “The Politics, Ethics, and Morality of Abraham Lincoln” is the first topic of discussion in Power Your Document Podcast Episode 47 and in this discussion, host Dave Jackson, examines and summarizes this truly fascinating document about President Abraham Lincoln. The paper provides in-depth analysis of the life and times of Abraham Lincoln and in so doing, presents a fascinating portrait of one of America’s greatest leaders. In Segment 2 of PYD Episode 47, Dave wades into the murky waters of nominalizations. He explains what they are, why we need to avoid them in our writing, and most importantly, how to avoid them. If you want to improve your writing, don’t miss this very important discussion on avoiding nominalizations.